Miniature handheld computer for embedded applications. Modular design delivers an easily customizable platform. 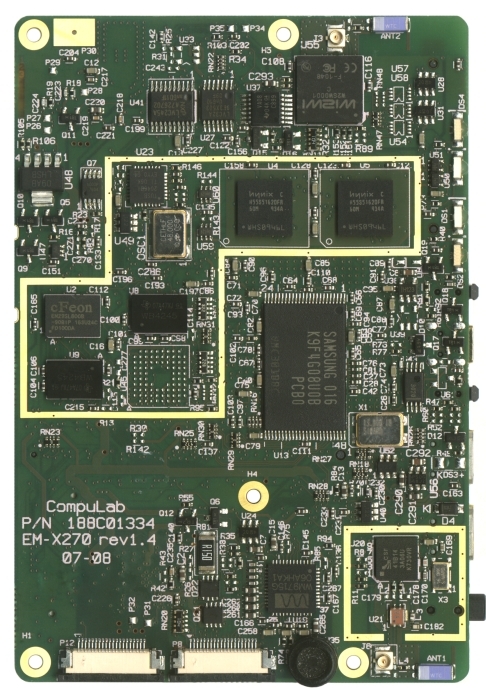 EM-X270 is a full-featured computer board, designed specifically for handheld / mobile implementations. Its functional contents are similar to the latest generation of Pocket PC's and smartphones, including all types of wireless, satellite and cellular connectivity found in today's state-off-the-art mobile devices. Yet, it is designed to serve custom implementations, retaining the flexibility expected from an embedded computer board. Available with an optional display, battery with charger and keypad, the EM-X270 offers a self-contained solution requiring just an enclosure for implementing the final custom product. The feature set of the EM-X270 board combines a 32-bit CPU, SDRAM, Flash Disk and vital computing peripherals. On-board wireless interfaces include WiFi, Bluetooth, GPS and cellular Voice/GPRS modem. The last interface enables the device to act essentially as a customized cellular phone. 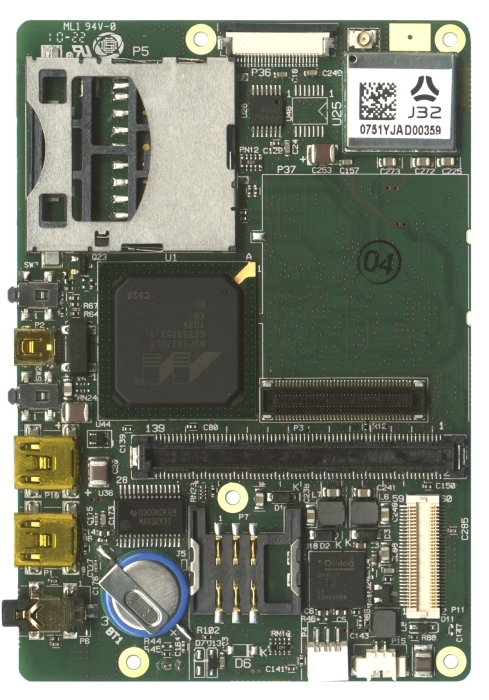 EM-X270 has several connectors and slots as used in PDA's and also an internal extension connector for application-specific add-on's. Ready-to-run Windows CE and Linux packages are available from CompuLab. "+" means that the feature is always available, regardless of P/N code. Camera Interface Direct camera sensor support, max resolution 2048 x 2048. EM-X270 is a mature product and is not recommended for new designs. The CompuLab part number specifies all options available for a particular product.